The friendly food rivalry between Singapore and Malaysia is still ongoing these days, with recent articles on the battle of supremacy between the hawker markets in the two countries. But worldwide travel guide Lonely Planet seems to have made up its mind in favor of the Malaysian dish, by quite a margin, in fact. Lonely Planet released its Ultimate Eatlist, a new book detailing 500 food experiences all over the globe. The good news—both Singapore’s chili crab and Malaysia’s Laksa made it to the top twenty. 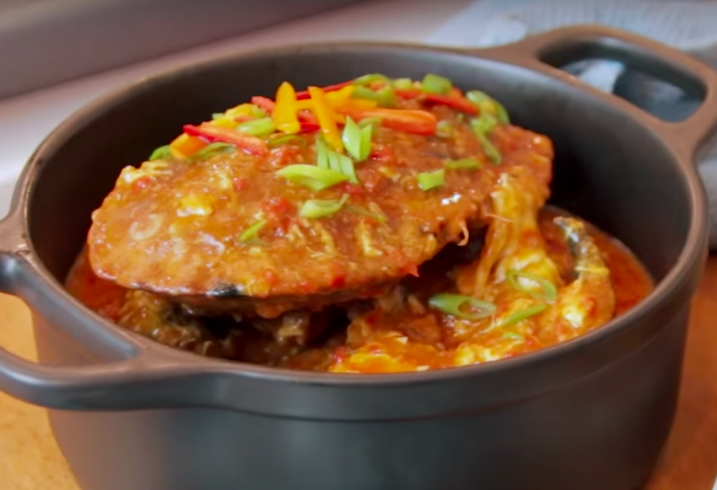 The not-so-good news (for Singaporeans, that is) is that while the chili crab made it to number 17 on the list, Laksa is actually ranked at number 2, beat only by pintxos, which are small Spanish snacks. Now, 17 out of the 500 best food experiences all over the world is no small achievement, but we have to admit that in this round of the food wars, Laksa beat Chili Crab hands down. “Rich and creamy curry laksa is just about as tasty a bowl of food as you will find anywhere on the planet, but it’s in Malaysia, and in particular in Kuala Lumpur, that you’ll find some of the best ways of eating it. Here are fantastic little hawker centres tucked into the shadows of towering skyscrapers, and at Madras Lane, just off Petaling St, you’ll come across competing curry laksa stalls vying for your attention. Other Asian dishes made it into the top 10 as well, including sushi (Tokyo) in third place, papaya salad som tum (Bangkok) in fifth place, mixed rice Bibimpap (Seoul) in eighth place and dim sum from Hong Kong in tenth place. As Asians, it’s easy for us to see why these dishes were included in this best-of list, but what could be so special about the Spanish snacks that are in first place? Ultimate Eatlist says that these snacks, which are known as tapas outside of the Basque region of Spain, are typically consumed at a bar-hopping experience in San Sebastián. They range from small open sandwiches to otherworldly gastronomic delights such as battered white asparagus, mushrooms braised with garlic, or a tuna and anchovy tart, best enjoyed on a lazy Sunday afternoon after a long nap, where you go out, see where people are eating and what they’re eating, and follow suit. We can understand now why the list is not just about the food itself, but the whole experience that comes with it!